Who doesn’t love chocolate? Actually, me. I’ve never been a big fan of chocolate flavored things. I think it comes down to not liking coco powder. I like chocolate, but not chocolate ice cream, or chocolate cake. But I’m determined to make and perfect a chocolate cake so I am including it in my repertoire. Which brings me to this chocolate cake. 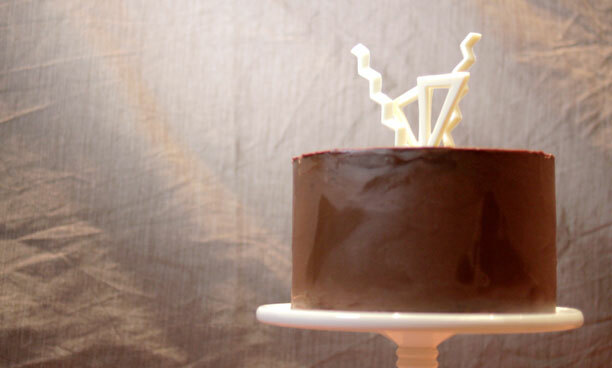 It’s a decadent devil’s food cake filled with raspberry jam and covered in a chocolate ganache. It’s pure chocolate goodness. 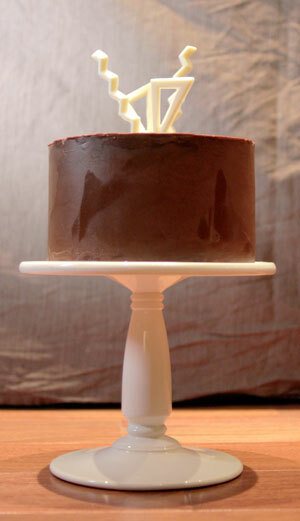 The hardest part about this cake was getting the ganache to be super smooth. I ended up going over it once, refrigerating it, going over it again, repeat and then finally using a hot offset spatula and a hairdryer (I kid you not) to get it to be as smooth as possible. I topped the cake with these beautiful white chocolate shapes I made. I think it looks rather interesting and kind of art-deco-y. My husband brought the cake to his office where they cursed my name in between mouthfuls of chocolate cake. 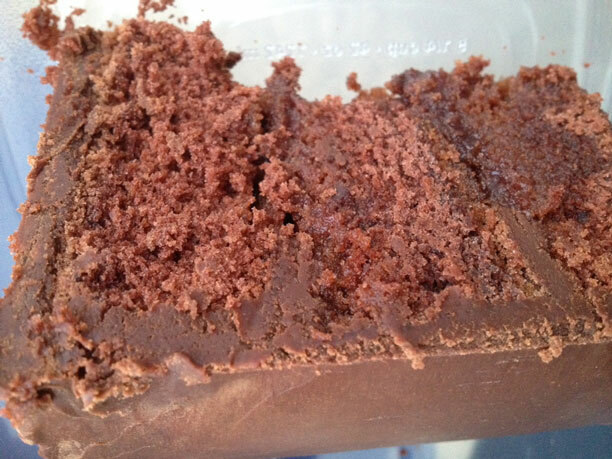 Here is a pic that one of them snapped of the inside of the cake. Looks pretty good if I do say so myself.